Not only will our night cream deeply nourish the skin, but will fight aging and free radicals with botanical extracts of Olive, Centella, Cocoa Butter, Shea Butter, Apricot Kernel, Grape Seed, Rose Hip, Jojoba, Calendula, Chamomile, Frankincense, Myrrh, Rose, Sesame Seed, Vitamin E and Hemp Seed. Our Nourishing Night Cream is the best way to provide your skin with nourishment at night to help the skin repair damage done during the day, and to prepare your skin for the new day ahead. With Nourishing Night Cream, you supply your skin with the ammunition to fight aging and to repair the damage wreaked on your skin during the day. It penetrates deeply and does not leave your skin feeling oily or greasy, and does not cause any skin problems. The active ingredients, listed below, will pro-actively work at fighting the free radicals caused during the day and this antioxidant effect will help prevent aging for as long as possible, and help you keep your youthful looks for longer. Nourishing Night Cream will also help to repair damage resulting from bad habits, sun damage and a hectic life style. This is done in several ways – from stimulating growth and circulation, to helping regenerate cells, while removing oxidative wastes from the cells and tissue, plus preventing skin and tissue degradation. Not even the most dry and dehydrated skin stands a chance against this hyper nourishing and deeply moisturizing cream. Your skin will not only feel and look softer, but will have a far more toned and firm look as well, as the ingredients are so formulated to not only moisturize and hydrate the skin, but also to help firm-up the skin and supportive tissues. Our Nourishing Night Cream has an unique and extraordinary formula, in which a blend of various pure herbs and natural ingredients are combined to create this remarkable product. It contains the following herbs and natural ingredients: Olive, Centella, Cocoa Butter, Shea Butter, Apricot Kernel Oil, Grape Seed Oil, Rose Hip Oil, Eco-Friendly Preservative, Jojoba Oil, Calendula, Chamomile, Frankincense, Myrrh, Rose, Sesame Seed, Vitamin E and Hemp Seed Oil. Olive extract is used to nourish dry skin and to help maintain skin suppleness, while soothing the skin and protecting it from the affects of the sun, water and other external aggressors. Olive is great to improve skin feel, while reducing irritation, but at the same time increasing skin hydration and moisture. Even with all of these positive factors it does not cause the skin to feel greasy, oily or tacky and is easily absorbed. Our Olive Extract is is 100% naturally derived and is PEG free, creating a silky skin feel. At the same time it increases elasticity while fighting pollution and protecting from the environment, helping to prevent wrinkles and acting as an antioxidant. The wax extracted from olives is also very high in natural squalene, normally obtained from sharks, is a highly prized ingredient– olives give us a botanical alternative to squalene from sharks, thereby eliminating the need to harvest this compound from sharks. One of its main functions is in increasing circulation, but it is also known for centuries for its great wound healing properties. It stimulates the fibroblast and collagen in the skin, yet prevents excessive proliferation of fibrous tissue in wound healing. Centella is particularly helpful in healing damaged and injured skin and maintaining healthy skin tone and elasticity. The triterpene components are principally responsible for fixing amino acids (alanine and proline) onto the collagen structure. Although it is mostly known for the base of making chocolates it also has a vast application in the field of pharmaceuticals and cosmetics. It has a very low melting point making it valuable in cosmetics and is one of the most stable fats known, containing natural antioxidants that prevent rancidity and give it a storage life of two to five years, making it a good choice for non-food products. It furthermore has a smooth texture and has excellent emollient properties making it ideal for skin care products to prevent skin dryness and to moisturize the skin and improve elasticity. Shea butter contains vitamin E and polyphenols, which are antioxidants. This wonderfully emollient and moisturizing butter does not irritate the skin and does not clog the pores nor cause pimples – and can be used successfully on acne and problem skin. Apricot kernel oil is a fine textured, smooth and lightweight carrier oil, which the skin easily absorbs, without leaving the skin feeling oily and it is high in poly-unsaturated fatty acids. Grape seed oil has a fine texture and is almost odorless, light in texture and is easily absorbed by the skin. It has mildly astringent qualities, which help to tighten and tone the skin, which makes it useful for all skin types and particularly for acne and other skin complaints. Apart from the moisturizing, soothing and softening effect that it has, it contains polyunsaturated fatty acids (vitamin F), also known as essential fatty acids (EFA), and when they are absorbed through the skin, they convert to prostaglandins (PGE), which are involved in cellular membrane and tissue regeneration. Because of this, rosehip oil brings about skin regeneration, enhancing wound healing. It furthermore contains trans-retinoic acid, which is responsible for skin rejuvenation, quicker healing time, repairing skin subjected to excessive sunlight and the resultant photo aging. The linoleic and linolenic acids in rosehip have also shown to reduce pigmentation of the skin and when used regularly rosehip has been shown to reduce fine lines and wrinkles. Although people see jojoba as oil, it is really a wax ester, and is non-oily or greasy and contains high levels of tocopherols, which have an antioxidant effect on the skin. Skin absorption studies at the University of Michigan demonstrated that jojoba is quickly absorbed into the skin, which is apparently via the transappendegeal mechanism and occurs through the pores and hair follicles. Because it is so rapidly absorbed, the pores and hair follicles remain open and thus maintain their proper functioning ability. It is an excellent moisturizer and softens the skin in a dual action – firstly by forming a non-greasy lipid layer, which is partially occlusive (thereby preventing water-loss through the skin) and secondly by the diffusion of jojoba into the intercellular spaces of the stratum corneum to soften this tissue. This botanical compound is often used in skin care products, as it has excellent properties and helps with cell rejuvenation, wound healing, reducing inflammation, soothing and softening the skin. Calendula is particularly helpful in cracked and damaged skin and has a humectant action on the skin, which helps with dry and dehydrated skin, while the cell rejuvenating properties are most useful in older as well as damaged skin. Furthermore, it has a slightly antiseptic and bactericidal effect and also helps with re-mineralization, with the oligoelements contained in the compound. It has a special chemical composition and is ideal for use on sensitive and delicate skin, having excellent decongestant properties, as well as being a powerful anti-inflammatory. Apart from the anti-allergy effect it has, it also is active in wound healing as well as in healing ulcers. Furthermore it has great scavenging properties, neutralizing free radicals, and thereby preventing oxidative stress and aging, while the vaso-dilating properties promote circulation to the skin. On the scalp, it is just as effective and also helps to prevent any itching and rashes, and is often included in good quality hair care products. Certain Studies suggest that Frankincense essential oil may be beneficial i the treatment of cancer, as it has been found to reduce the size of tumours and lesions on the skin. When used in a cream or lotion, amazing results are achieved in the treatment of chronic wounds and ulcers. It accelerates wound healing and sorts out athlete’s foot, as well as weeping eczema. Bedsores, deeply chapped and cracked skin, boils, carbuncles, acne and all other skin ailments show dramatic results when myrrh oil is used to treat them, and it can also be applied with a cotton bud directly on sores, wounds and other skin infections. When rose oil is included in a cream or lotion, it stimulates the skin, while moisturizing and hydrating, boosting all skin types and being particularly beneficial to dry, mature and sensitive skin. It helps to reduce skin redness, fight inflammations, as well as fix broken capillaries on the skin and also acts as a general skin tonic with its astringent properties. Although it is a thick oil it is used for eczema, psoriasis as well as older and mature skin and it contains excellent moisturizing properties. In folk medicine it has also been used to help fade blemishes. As we age, the natural amounts of vitamin E become less in our skin and this can be supplemented by applying it directly to the skin. Not only does it help to guard against the ravages of free radicals, and keeping the resultant aging at bay, but also helps to moisturize the skin and assist with tissue repair. It is non-greasy and has fine soothing and moisturizing properties. It is excellent for fighting aging and also has superb moisture balancing properties. High amounts of polyunsaturated essential fatty acids (linoleic and linolenic acids) are found in hemp seed oil, which are excellent as an anti-inflammatory ingredient, helping to heal skin lesions and balance dry or oily skin conditions. For a full list of all ingredients in our Nourishing Night Cream, please click here. Cleanse the skin with Herbal Face Wash and pat the skin dry. Apply Nourishing Night Cream by placing a small amount on the tips of your fingers, rubbing your fingertips together and then gently smoothing it onto the skin with upward and outward strokes to your face and neck. Super nourishing and moisturizing cream to help fight aging without being oily, greasy or leaving a tacky residue. Soothes and calms the skin, promoting even colored complexion and fine facial texture. Softens the skin softer and help firm-up sagging and damaged skin. Helps to repair skin damage and prevents any other skin damage. 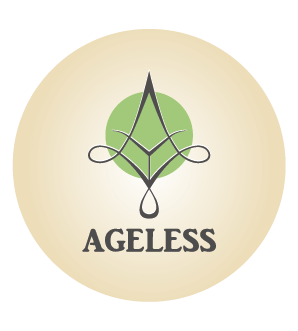 Fights aging at cellular level by neutralizing free radicals. Improves circulation and boosts collagen and elastin in the skin.